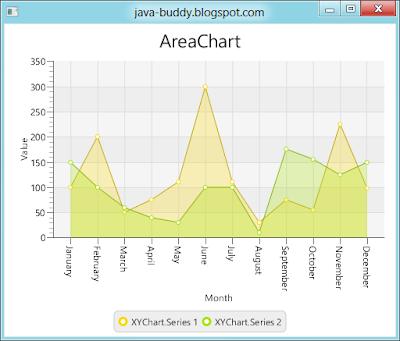 In Area Chart of JavaFX 2, we can add more series of data to a single Area Chart. I have no idea to combin AreaChart and LineChart as one. 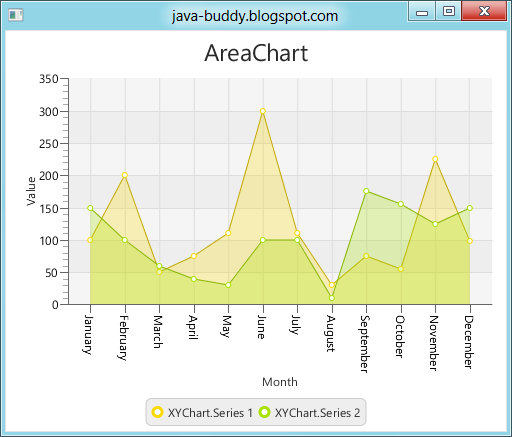 But you can apply CSS on AreaChart to make it look like LineChart. Read Apply custom style on AreaChart.